Can you get the benefit of single use technology with the reliability typically associated with stainless steel? 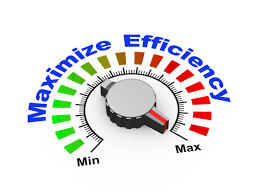 There are a variety of ways to define efficiency when it comes to bioprocessing. Single use bioreactor bags (SUB’s) provide efficiency in that they do not have to be cleaned and re-sterilized between manufacturing runs whereas hybrid stainless steel systems can provide an efficiency of scale. You can manufacture in much larger volumes using stainless steel. Whatever you are using, there’s a good chance the decision was made in consideration of gaining some operational efficiency. Many articles have been written about the strengths and weaknesses and the benefits and limitations of using stainless steel, single use or hybrid systems for bioprocessing. Stainless steel technologies have been around for a long time while single use technologies are relatively newer and continue to adapt and evolve. Improvements in capability and scale occur on a regular basis. 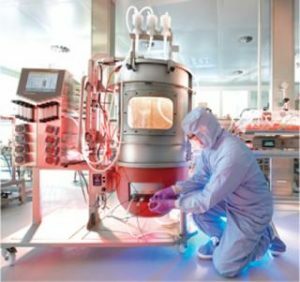 Whether it be new bioreactor bags, new valves or customized tubing solutions; manufacturers and system integrators work hard to develop unique solutions for their bioprocess customers. While there are some “off the shelf” solutions available, the flexibility of designing more customized systems is one of the strengths of using single use products. They can be designed and built to your specifications using products and materials that you specify regardless of brand or vendor and without an industry defined blueprint for building a bioreactor or component of a bioreactor system. 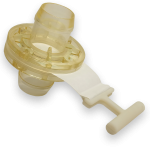 However, a big challenge to this custom, single use model that has developed is a lack of material and component standardization. Products and components do not always fit together in simple and effective ways. This can lead to compromises that can adversely affect the efficiency that single use technologies are attempting to create. 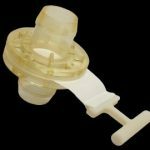 One area that has largely been overlooked when it comes to single use bioprocessing efficiency is the rate of fluid transfer from one stage of the process chain to another. Single use sterile fluid transfer is often limited to the use of ¾” to 1” hoses. Why is this? It is largely because there has not yet been a reliable way to connect hoses larger than 1” in diameter. Reliability comes into question at larger sizes, higher pressures and higher flow rates. 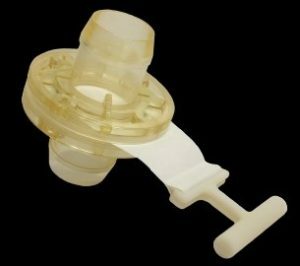 Concerns about single use connector leakage and product failure occur as fluid volume transfers increase and there have not historically been any options at this size. Many large single use bioreactor bags limit their operational efficiency due to smaller than necessary bag ports and transfer tubing. Many stainless steel systems come with a 1.5″ TC port that has to be scaled down due to limitations in single use connector sizing. This does not have to be the case. As single use bioreactor bags scale up in size to 1,000, 2,000 or even 3,500 liters it is necessary for tubing and connectors to scale up in size accordingly. Otherwise some of the anticipated efficiencies provided by single use are lost. Options are now available to bridge this bottleneck and to help allow for sterile fluid flow rates of up to 290 liters per minute that are more appropriate for larger scale systems. To learn about Refine Technology’s new CleanLine™ 1.5″ Single Use Connector and to improve your process efficiency, visit us on LinkedIn or check out our new website. Let us help you maximize your single use bioprocessing efficiency.